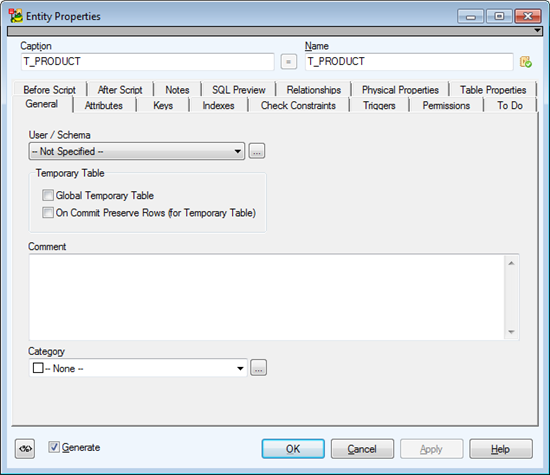 In physical model you can define Data Warehouse Type for your tables and graphically distinguish the Fact and Dimension tables. By default, the Data Warehouse options are not available and must be activated in Settings. To display Data Warehouse Type options click Settings | Options and in section Physical Model enable the checkbox in group box Form Settings. 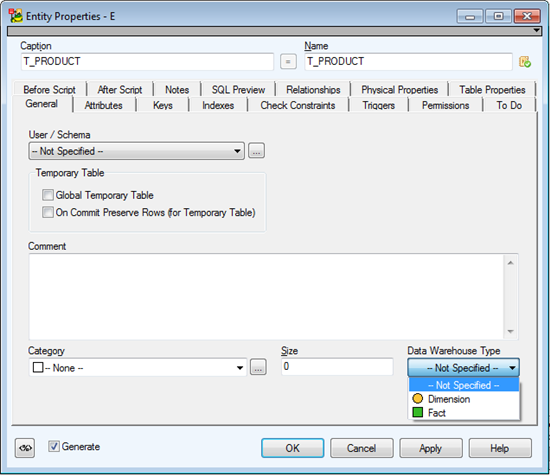 To set Data Warehouse Type then choose Dimension or Fact value from the Data Warehouse Type combo box.